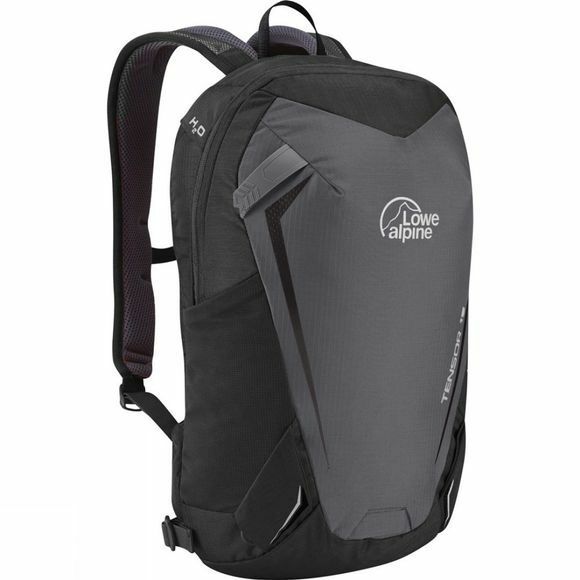 The Tensor 15 Rucksack from Lowe Alpine is an ideal pack for summer hikes, scrambles and multi-pitch climbs. It features clean lines for a snag-free design without sacrificing key elements such as trekking pole and ice axe storage. A padded harness and highly breathable back system makes it comfortable to carry but also easy enough to pack away inside a larger pack for climbing and travelling. While the generous main compartment features an internal zipped pocket and a key clip to help keep you organised.